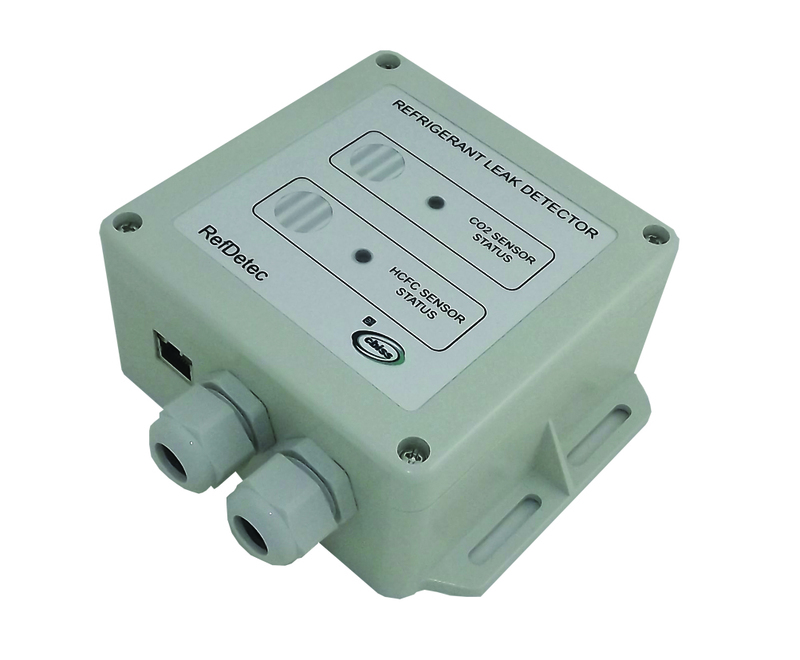 The RefDetec stand-alone refrigerant gas leak detector has been designed to offer a low cost refrigerant monitoring system where only a small number of points of detection are required. 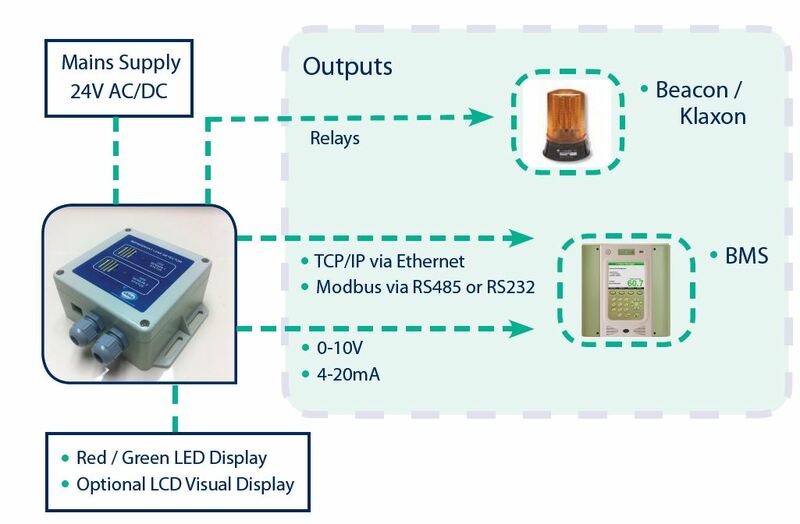 The RefDetec can locally integrate with a building management system hub via Ethernet TCP/IP or Modbus which can power the RefDetec as well as communicate data to the central control system. The small, low carbon footprint design of the RefDetec allows for a simple, quick, and cost-effective installation on sites as only a small amount of power cabling is required. Installation costs are lower compared to aspirated systems, because the gas sensors are at the point of detection, therefore sample tubing is not required. Once the gas detector has been turned on a green LED will illuminate to indicate that the gas leak detector is fully operational. There is no need for further adjustments and a simple combinations of LEDs will indicate the system status. With the choice to define the alarms, outputs, communications, and power supply the RefDetec is truly the most innovative solution for continuous gas leak detection available on the market today. inimise the risk of exposure, explosion, or loss of product with a gas leak detection program that ensures that all areas, pipes, valves, and pumps are regularly checked. AquaGas Pty Ltd can provide portable gas leak detectors, survey monitors, area gas monitors, and fixed gas detection systems for a comprehensive, real-time gas detection program.